My Yoga Journey began 11 years ago, in 1999 after experiencing anxiety related illness. I wanted to avoid prescriptive medicine and ‘short term fixes’ so instead devoted energy into finding alternative healing techniques that also provided a calm and relaxing form of exercise which was complimentary to my training at a local gym. Shortly after, I moved to Brighton to become a University student and was spoiled for choice at the options available. I experimented with a plethora of styles, classes, workshops and home practice and found yoga offered balance and calm during my hectic student days. However was unable to keep a regular class practice due to the expense and it was this point that ignited my ethos: to make Yoga accessible for all. Ten years later working in the media industry forced me to address life’s priorities. I’d been running on the ASAP treadmill, unable to make space for myself and was generally unhealthy physically and spiritually. I realised that until I paid attention to my bodies warning signs, I would be trapped in a cycle of negativity and fear. Yoga was a gift to myself that provided balance and calm in a cyclone of intensity. I reclaimed my spirit, energy, stamina and vigour. I’m humbled to be a student of Yoga, and have acquired an insatiable appetite to continue to develop to be the best person I can be. I want to share the wealth of benefits Yoga provides, and in a way that was non-judgemental or condescending, but instead in a safe, supportive and friendly environment, encouraging people to believe in their abilities, gain confidence and a healthy mind and body. 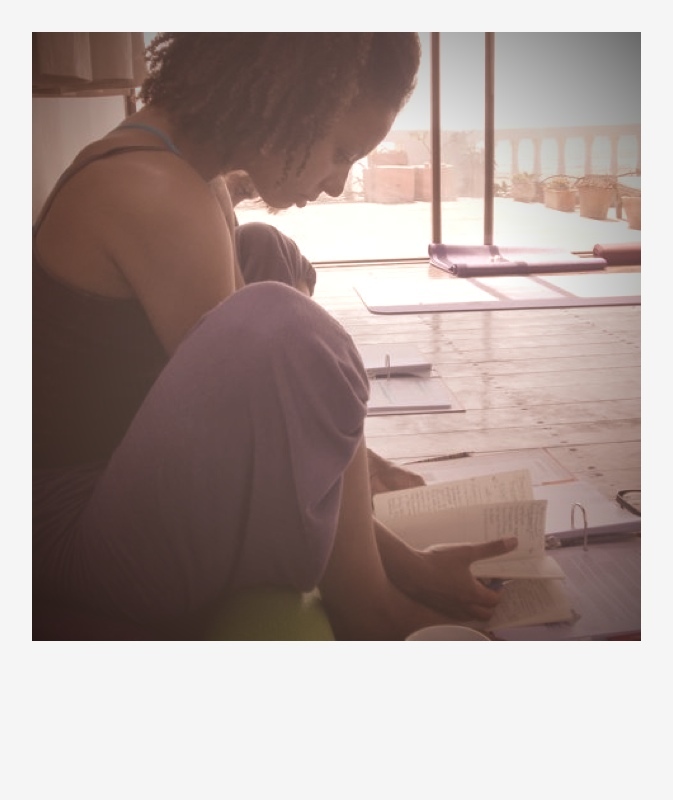 I choose to teach Yoga as a commitment to developing my own practice, and hope that my classes demonstrate an improvement of posture, alignment, general health and wellbeing, applying yogic philosophy and meditation techniques to enhance connection to self creating space to detach and centre the minds focus. Real life happens, but we have a choice to be free to obtain balance, joy and light and manifest everything we dream of. This entry was posted in #365yoga, health, inspiration, lifestyle and tagged my yoga journey. Bookmark the permalink.